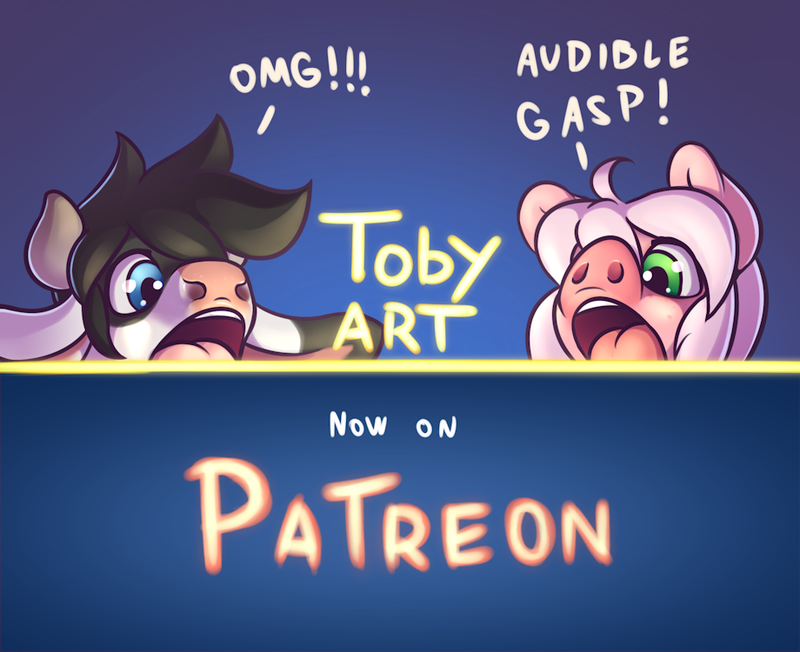 Toby is now on Patreon!!!!! I finally made me a patreon! check it out! With the suport of patreon, I can start getting more invested in my work, and dedicate more time to creating all the weird strange things you all love (or hate) so much~ and if things go well, maybe even more things! So if you want to help support me to continue doing what I do, or if you are interested in some of the perks of beeing a patreon, go check it out!